Moody’s Investors Service recently awarded an A1 credit rating to Sanger, Texas. Over the last eight years, the City of Sanger’s credit rating has been upgraded five times. “This is a reflection of the City’s continued commitment to a strong financial management and conservative budgeting,” said City Manager Mike Brice. An A1 credit rating is considered a prime rating for investors. According to Moody’s report, key factors for supporting an A1 rating include the trend of growing reserve levels; continued growth in tax base expected; and, favorable location 40 miles north of Dallas. “The City’s management is strong, implementing and maintaining fund balance policies that help to mitigate the reliance on the utility system transfers for operations,” the report states. Sanger is currently in the process of refunding a 2006 bond issue at a lower interest rate. This refunding will save taxpayers around $120,000.00 in interest over the next six years. The A1 rating will mean even greater savings on the interest rate of the refunding bonds. The A1 rating also applies to the city’s other outstanding debt, making it more favorable to investors. Moody's Investors Service is a leading provider of credit ratings, research, and risk analysis. The firm's ratings and analysis track debt covering more than 120 sovereign nations, approximately 11,000 corporate issuers, 21,000 public finance issuers, and 72,000 structured finance obligations. On April 18, 2016, the Sanger City Council awarded a construction contract to CIMA General Contractors for the renovation of the Sanger Presbyterian Church. Located at the corner of 7th and Elm streets, the Presbyterian Church has been a fixture in Historic Downtown Sanger for more than a century. Built in 1902, the building served as a church until 1971. No longer being used as a place of worship, it was designated as a Texas Historic Landmark in 1972, and later donated to the City of Sanger. It then served as a community library until 1995. Throughout the years, the condition of the building has deteriorated significantly. 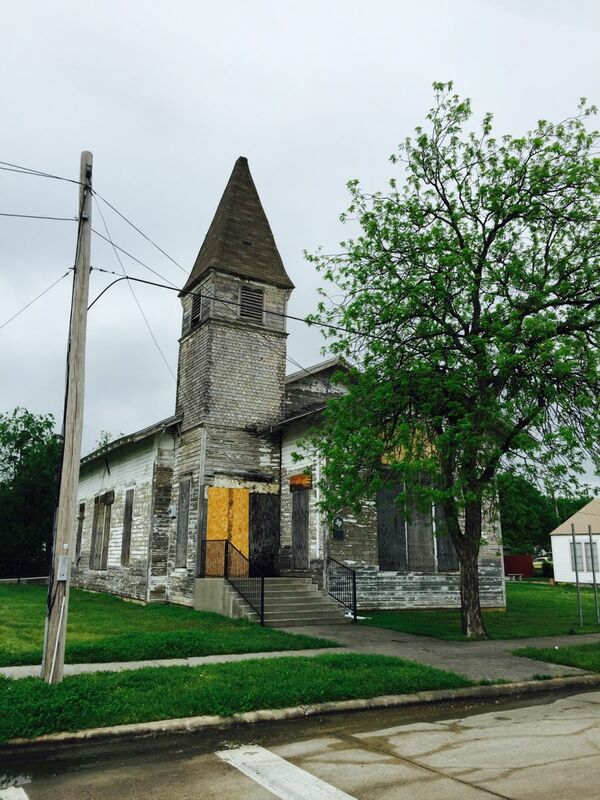 The community has expressed interest in restoring the church and preserving it as a community icon. The Sanger Area Historical Society campaigned and raised $100,000 in donations from over 140 people and businesses. In addition to donations, Economic Development funds and Hotel Occupancy Tax funds are utilized to complete the refurbishing of the church. The project includes reconstruction of the roof and steeple, restoration of the exterior siding and trim, and a complete remodel of the interior. “The main goal is to restore the building functionally while maintaining its historic character,” said City Manager Mike Brice. Once renovated, the facility will serve as an event venue that can be rented for weddings, receptions, and other community activities. Construction is expected to start in the coming weeks. The Development Services Department has recently issued a new certificate of occupancy for the Chicken Express store located at 1406 Chapman Drive following a change in ownership. A permit was also issued for remodel work to be performed on the exterior of the store. The proposed upgrades include a new façade made of stucco and stone, as well as additional signage. The approximate cost of this project is $300,000 and the remodel is expected to be completed by the end of March. “It is great to see existing companies reinvest in the community through renovations and expansions. The remodel of Chicken Express follows the announcement of yet another local shopping center undergoing major renovations. This is a good indicator of Sanger’s healthy business environment,” said Alina Ciocan, Director of Economic Development. Utility upgrades are also planned for the east side of I-35. They will include extending the water and sewer lines from FM 455 to Lois Rd. Total project cost is estimated at $1.1 million.